Too old for naps? Not ready for ice skating? We’ve got a camp that’s just right! Tailored especially for campers in kindergarten and first grade, Eager Explorers proved to be a huge success during the 2018 camp season with multiple weeks selling out due to its popularity. Mornings will be spent in age appropriate activities for Art, Physical Education, and the weekly special (music, cooking, science, etc. ), while afternoons and field trips will address our kindergarten and first grade sensibilities. 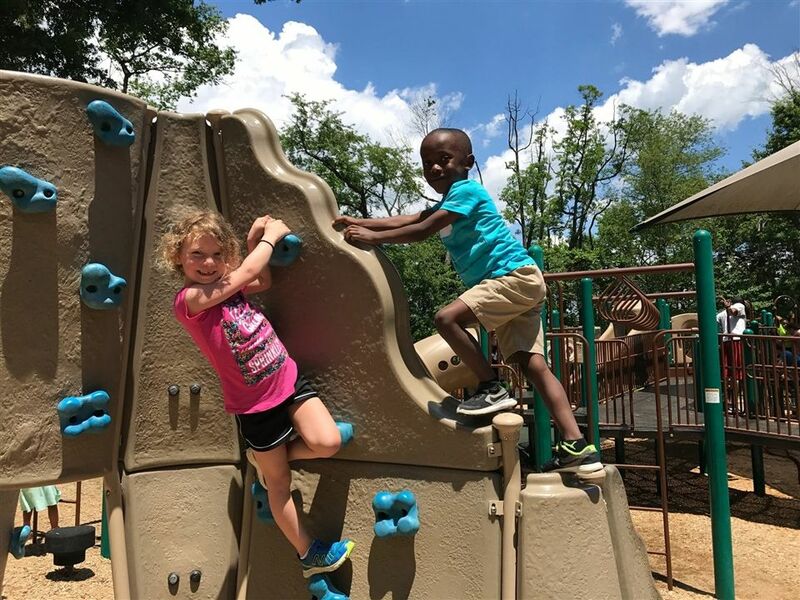 Each week, the Eager Explorers will leave campus for bowling with the Big Kids, swimming at Arden Swim Club (3 days each week), and playing on the Can Do Playground. On campus afternoon activities will include active games, arts and crafts, imaginative play, playground time, and story time. The Eager Explorers will also participate in all “Fun Friday” special events including Decades Day, Inflatables, and Dance Parties. New Eager Explorers Soccer Shots Specialty Camp. Soccer Shots is an engaging children’s soccer program with a focus on character development. Our caring team positively impacts children’s lives on and off the field through best-in-class coaching, communication and curriculum. Our coaches are the best-trained in the business. Our expert-approved curriculum is age-appropriate and aligns with childhood education standards. Please Note: This camp is offered in the morning. Campers enrolled in this program will not participate in the morning rotation of activities. After lunch, campers will participate in all afternoon Eager Explorer Camp activities.